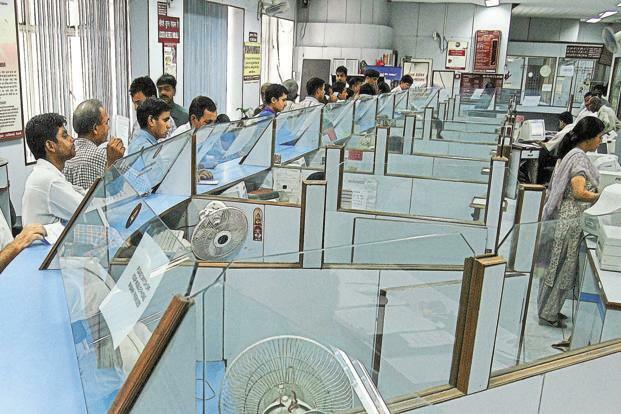 Shares of small finance banks are buzzing, with investors seemingly pleased with their efforts to meet the regulatory deadline of listing operating subsidiaries and reducing promoter holding. Currently, the holding companies of these small finance banks are listed. A strong performance in the second quarter has also aided the interest in these stocks. The urgency to hammer out a scheme for listing has come after the Reserve Bank of India (RBI) clarified in October that small finance banks, and not their holding companies, need to be listed within three years of operation, and no extension will be given. Therefore, Equitas Small Finance Bank Ltd and Ujjivan Small Finance Bank Ltd will have to get listed by September 2019 and January 2020, respectively. While investors may be pleased, it’s naive to assume that the central bank will approve of the fancy structures that are being discussed for promoter stake dilution. After all, RBI has already disapproved Kotak Mahindra Bank Ltd’s ingenious method of issuing preference shares to reduce its promoter’s stake. The boards of Equitas Holdings Ltd and Ujjivan Financial Services Ltd are looking at various options to list their respective banks, but an initial public offering (IPO) is not the preferred route. In November, Equitas had said in an exchange filing that a committee would come up with a scheme through which the bank can be listed without having to float an IPO. An IPO will not only saddle these banks with capital they don’t need, but also be punitive for existing shareholders of the holding company. But as pointed out earlier, it remains to be seen if RBI approves other alternative methods of promoter stake dilution. While the sword continues to hang over small finance banks, the good news is that these banks have witnessed strong performance in the second quarter. Moreover, the stress among non-banking financial companies (NBFCs) and many public sector banks is seen as a blessing in disguise, as small finance banks can take advantage to increase market share. Further, the sharp correction in the stocks since September has brought valuations to acceptable levels. Equitas Holdings is down 21% since September and trades at a multiple of 1.4 times its estimated book value for FY20. 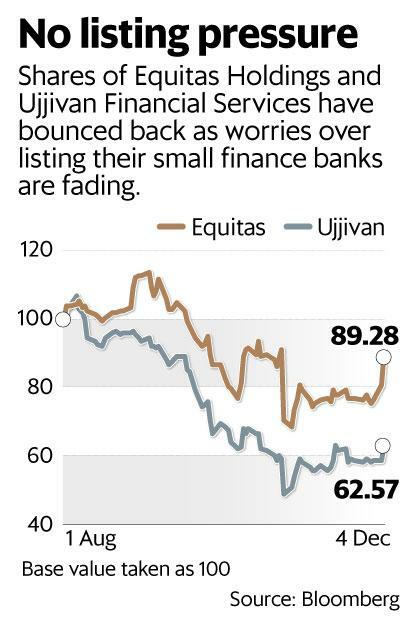 Ujjivan Financial Services is down 33% and trades at a multiple of 1.3 times its estimated book value for FY20. Compared with peer microlenders such as Bharat Financial Inclusion Ltd and even small private sector banks, these stocks are viewed as cheap. All these factors have contributed to the bounce back in shares. But risks remain high as well. As such, the fact that these shares have recouped all their losses since end-October, when RBI clarified its tough stance on listing and promoter stake dilution, is disconcerting.